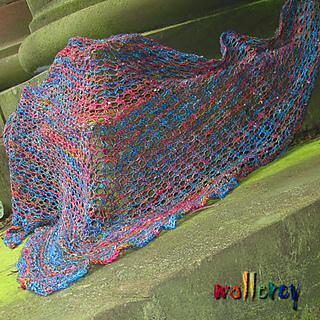 Do you love all those wonderful airy shawls knitted with fine yarn but never dared to knit one because it looks much too complicated? 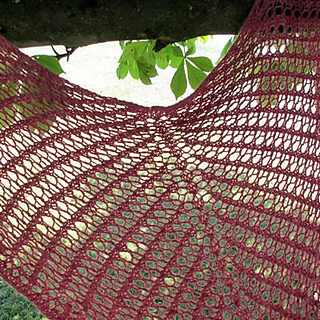 Here is your first lace shawl! 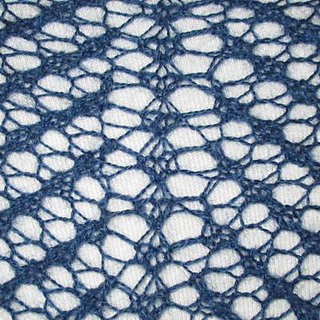 You should know how to knit and how to knit through backloop - that´s it. You can choose any yarn you want may it be lacy or thicker, may it be fluffy or silky, may it be semi solid or bursting with colours. Just have the heart to start! 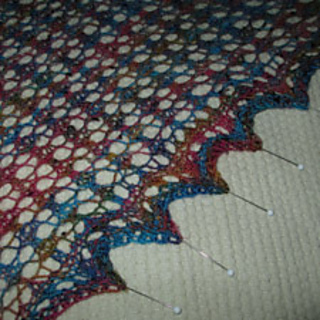 Measurements of all the original shawls shown here is 180 x 70 cm. Pattern instructions are charted and written. You start at the shoulder and work to your desired size using a repeat of 6 stitches and 12 rows ending with a ruffled edge which may as well be blocked to achieve a lacy pointed look if you prefer that. 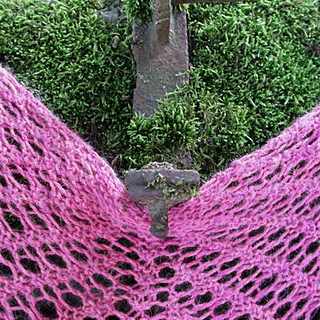 I really would love to see your “Falling in Lace” projects!